Finally�a compact, complete travel unit for the person on the go! 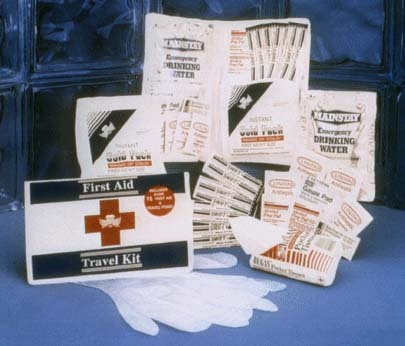 This kit fits perfectly in a purse, briefcase, or glove compartment, and is ready when you need it in first aid situations. This kit is very special because it�s the only one of its kind to include a 4 oz. sterile water packet with a five-year shelf life.